100 DiskDigger Got Score 5.00/5. DiskDigger is a suite of software programs for PC and Android. The software is made by Defiant Technologies, LLC. DiskDigger for Android currently holds a rating of 3.6 stars out of 5 on the Google Play Store with a total of 13,623 reviews. It’s been downloaded 1 million to 5 million times and is compatible with Android 2.2 and up. There are a disproportionate number of 1 star reviews from users who claim the app didn’t work for them: the app isn’t guaranteed to work on any device, so don’t blame the free app if it can’t magically recovery everything you’ve ever deleted. DiskDigger works by scanning all directories of your Android device for deleted files. After opening the app, it will display all the system devices available for scanning. For now, the free version of DiskDigger only recovers certain deleted files, including .JPG, .PNG, and .MP4. It will, however, reveal dozens of different recoverable files on your system. You’ll need to upgrade to DiskDigger Pro ($2.99) to recover the full range of files. Your photos and videos are typically saved in one of those three formats, so DiskDigger still does a pretty good job of recovering lost media files. If you’re trying to recover lost texts or contact data, however, then you’re out of luck. Step 2) Launch the app. You should see a list of all the system devices that you can scan for lost files. If you see a superuser request upon launch, make sure you tap “Allow” on that request, otherwise DiskDigger won’t work. Step 3) Tap the Scan Device button to proceed with the search. DiskDigger will display a real-time status report, including all of the recoverable files identified so far. Step 4) Tap on any of the recovered files on the list to see a preview of the file on the right side of the screen. Step 5) You can filter through files based on their size and type. If there are too many files in the list, this can help narrow down your selection. Step 6) Check the box beside each file you want to recover. Then, choose from one of three different ways to recover the file: email, FTP upload, or save locally. That’s it! Your files should (hopefully) be recovered with no loss of quality or data. How Much Does DiskDigger Cost? 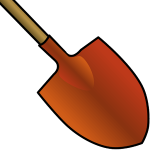 The full version of DiskDigger is available for free on the Google Play Store. There is a pro version of the app available for $2.99 as well. The pro version lets you recover more file types. Like, a lot more. You can recover all of the following file types with the pro version: JPG, PNG, MP4 / M4A / 3GP / MOV, GIF, MP3, AMR, WAV, TIF, CR2, SR2, NEF, DCR, PEF, DNG, ORF, DOC / DOCX, XLS / XLSX, PPT / PPTX, PDF, XPS, ODT / ODS / ODP / ODG, ZIP, APK, EPUB. The free version only lets you recover 3 different types of files (PNG, JPG, and MP4). Conclusion: Should You Download DiskDigger? Most of us have experienced the pain of a deleted file: you’re trying to mass delete a bunch of crappy pictures from your phone, only to accidentally place your finger over a photo you actually wanted to keep. Without DiskDigger, that photo is lost forever.